Premia Spine > Back health > Does Medication Reduce Back Pain? Most back pain improves with a few weeks of self-care, including over-the-counter pain relievers, ice, heat and taking care not to lift heavy items or work out too vigorously. It also helps to get some mild exercise and movement into your day, rather than lying down and staying still for too long – which can make back pain worse. But if these self-care methods don’t relieve your back pain after a few weeks, you should consult with a back pain specialist to improve your symptoms with medications. The most common first steps in pain-reducing medications is your doctor’s recommendations of acetaminophen (Tylenol, others) or nonsteroidal anti-inflammatory drugs, such as ibuprofen (Advil, Motrin, others) or naproxen (Aleve). Both of these types of medications are effective at relieving back pain, often within a very short period of time after taking them. Always take these medications as directed by your doctor, because overuse can cause serious side effects. If over-the-counter medications don’t relieve your back pain issues, including secondary pain such as sore hips from compensating for your stiff or painful back, your doctor may also prescribe a muscle relaxant. While muscle relaxants will often lessen back pain, they can cause side effects like sleepiness and dizziness, so you should take them only when you’re done driving for the day, and when you can relax and let the medication ease your pain. Do not take muscle relaxants when you’re at work or if you have to make important decisions, cook, or conduct any other tasks that require focus. Save them for when you’re truly free of all items on your to-do list, and be sure someone is available to care for your kids and pets. Some people are more sensitive than others to the effects of muscle relaxants, and you may be among those who cannot function safely while on a particular type of back pain medication. 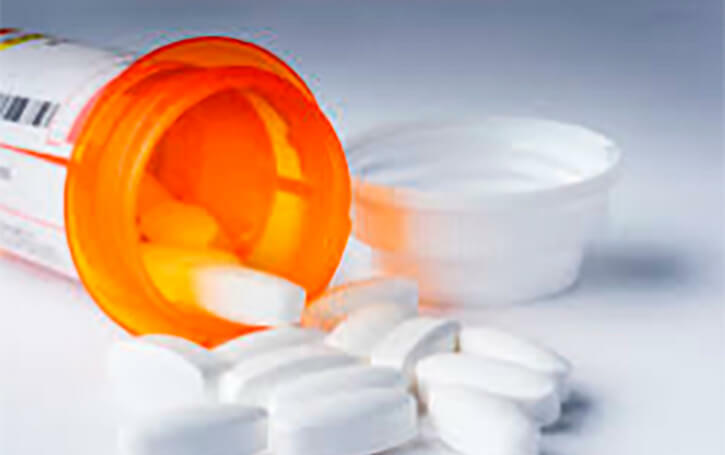 Your doctor may also prescribe to you narcotics, such as codeine or hydrocodone, which should be used only for a short period of time and with close supervision by your doctor. Take these medications only as prescribed. Interestingly, some back pain patients experience relief for chronic back pain from low doses of certain types of antidepressants — particularly tricyclic antidepressants, such as amitriptyline. You may not feel depressed, or show other signs of depression, but this is among the arsenal of pain-relieving medications that your doctor may consider for you. Lastly, cortisone injections for back pain are also an option. These anti-inflammatory injections are delivered to the space around your spinal cord (like an epidural is administered during childbirth.) Your doctor might inject cortisone into the facet joints of your vertebrae, decreasing inflammation in those areas that may be the cause of back pain and allowing your spine to regain fuller range of motion and stability. A cortisone injection helps decrease inflammation around the nerve roots, and you might experience back pain relief for up to a few months after your injection. Ask your doctor about which medications may be ideal to relieve your back pain, and ask for information on possible side effects, as well as – importantly – how long you should take each type of medication suggested or prescribed to relieve your back pain.